There may be no site more disheartening to a turkey fanatic than stumbling upon a nest full of busted eggs or finding a poult carcass. As crushing as moments such as these are, they are a common problem that plagues the turkey population across the country. Avid turkey managers are taking the fight to the predators at an all-time high, with trapping and other forms of predator control becoming as much a part of their management practices as prescribed burning, food plots, and establishing warm-season grass stands. The wild turkey needs all the help that it can get. The list of predators that will gladly make a wild turkey egg or a helpless poult their evening dinner is staggering. If it has teeth, it will more than likely target a turkey at some stage in its life. While turkeys are obviously more vulnerable while in their eggs, they remain easy prey until they learn to fly, which is roughly a week to ten days after hatching. Once poults become able to fly to avoid predators such as coyotes and bobcats, their mortality rate drops significantly. In an attempt to understand the chief predators that impact wild turkey populations, I have compiled a “most wanted” list of predators that are generally considered the most detrimental to wild turkey recruitment. Raccoons are widely considered public enemy number one in the eyes of wild turkey managers. Because their range is spread literally from coast to coast, they are detrimental to the wild turkey in its entire range in the United States. The majority of the damage that raccoons cause to wild turkey populations is during the nesting phase, although a limited number of poults are likely killed by raccoons before they are able to fly. Raccoons, like most nest predators, are most vulnerable during their mating season, which is between January and March. Because of this, turkey managers would be well advised to implement an aggressive trapping strategy in those months to “get ahead” and knock back some of the population leading up to the nesting months. When it comes to contestants in the predator beauty contest, one animal that need not bother entering is the opossum. Opossums (more commonly known as possums) are as ugly as they come, and are fierce predators of turkey nests. While possums are not found in every state, their proliferation is what causes problems in their home range. Possums have an average litter of over a dozen young, although their relatively short life expectancy of only two years, and vulnerability to large predators, keeps populations from exploding. Regardless, they are a problem for turkey nests where the two species overlap. Possums are typically caught in the same manner in which raccoons and skunks are caught, with live box-style or foot traps. Use sardines if you are targeting possums, as they seem to prefer the smell of sardines to other baits. When we think of a striped skunk, we think of either a cute cartoon character or a smelly cousin to your house cat. However, the striped skunk is a fierce predator to the wild turkey in the nesting stage. Because skunks, like raccoons, are widely dispersed throughout the country, they affect wild turkey populations over the entire range. Even though skunks are not as densely populated as raccoons, their impact on wild turkey poult production is no laughing matter. Skunks are not as prolific as possums, only having litters of 4-8, and can only reproduce once a year. However, their smell typically reduces their mortality from coyotes and bobcats, so trapping can be necessary. Skunks are also prevalent in fields after a rain, so you can kill some that way if need be. I killed twenty skunks one evening in a hayfield that we had just cut. How many poults do you think that saved? While bobcats may not be the most visible “poult predators,” they are still feared animals, preying mostly on poults that are between their hatch and flight stages. 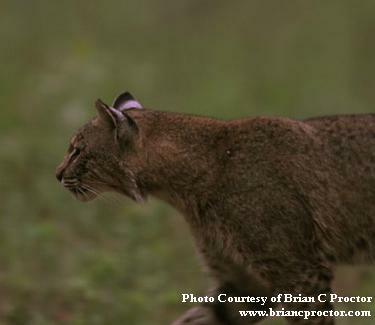 Bobcats are nocturnal and vicious carnivores that cover between two to seven miles each night, making young poults that are not able to fly easy nighttime prey. Bobcats are masters of the ambush, setting up along travel routes and pouncing on their prey. While pre-flight poults are susceptible, all turkeys run the risk of getting picked off by poults if they are not careful. Live foot traps set up on travel routes have proven to be effective, as well as hunting with the use of a caller. As with any poult predator, you may want to focus your trapping efforts on late May-early July, the time in which the majority of your poults will be at the greatest risk. It is also important to note that bobcats are considered endangered in parts of the Midwest, and it has been reported that in those areas, turkey populations are on the rise. Another prevalent poult predator, coyotes are not as vicious on poults as their bobcat counterparts, but will certainly pick off an unsuspecting poult if the opportunity presents itself. Coyotes are perhaps the world’s most widespread predator, being found throughout the US, Canada, and Mexico. Their range is larger than that of a bobcat, and collared coyotes have been tracked for over forty miles in one day in recent studies. Because of their relentless pursuit for prey and preference of hunting in packs, they pose a big threat to wild turkeys if their paths cross. While studies have indicated that wild turkeys make up a very small percentage of the coyote’s diet, you still need to work to keep their populations in check. Like bobcats, live foot traps on travel routes work best. Because of the coyotes’ range, you may want to focus your trapping and control efforts on the time frame reference above (late May to July). Predator control is a journey, not a destination. While I firmly believe you can significantly reduce your resident nest predator populations via trapping and hunting, you will always be fighting an uphill battle with poult predators that have larger ranges. You have to have a “never cease” attitude, and over time you will see results in the numbers of turkeys on your property!